Remember my post about planting a Dwarf Meyer lemon tree in a pot? Well check out how big it has gotten in the past 7 weeks! 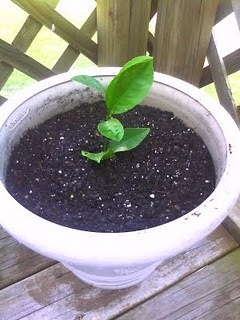 Of course I will not see any lemons until maybe next year if I am lucky, but I am thrilled with the fact that it is actually growing! I was worried since I paid so little for it but so far so good. 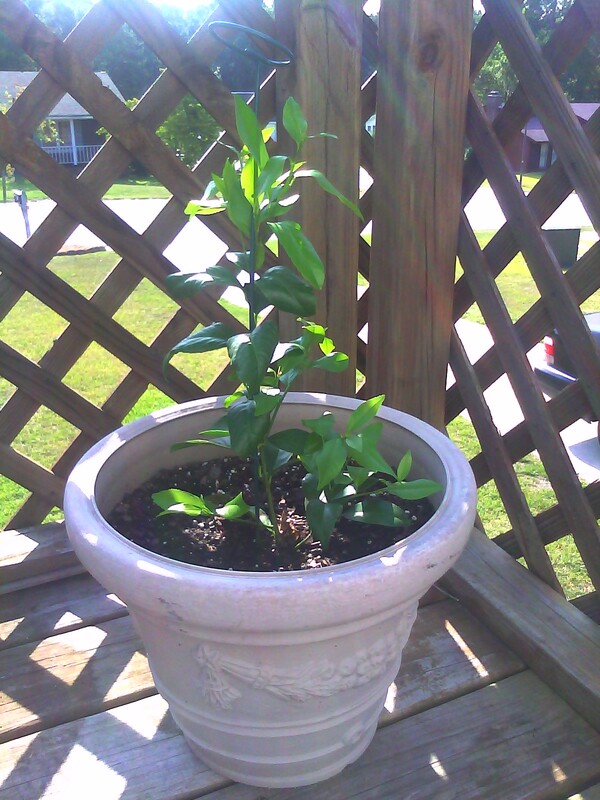 Shelly, your lemon tree looks so healthy! Loving your flowers too. I've never purchased one of those. 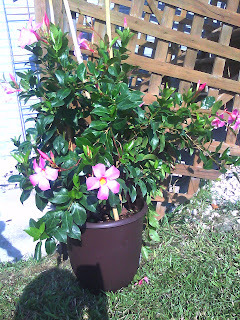 What a gorgeous mandevilla and your lemon tree is growing fabulously. Wow! It really is growing so fast. How exciting. I'm terrible with planting and all things gardening so mines definitely wouldn't have made it this far. Needless to say, I'm impressed. The tree looks great! It's doing super well! AND, love the flower story as I also love me a bargain! What a gorgeous plant - and what a sweeeeet deal you got! Nice! I just love deals like that. It really makes you appreciate it even more right? Happy 4th!